Have you wanted to learn about the chakras but it just seems to be too complicated and esoteric? Wanted to heal, balance, nurture and develop your own chakras but it feels like something you could never learn to do? This clear, fun book will help you understand your seven wonderful energy centers and start healing and developing them right away. You can do it--It's not as complicated as it may seem! 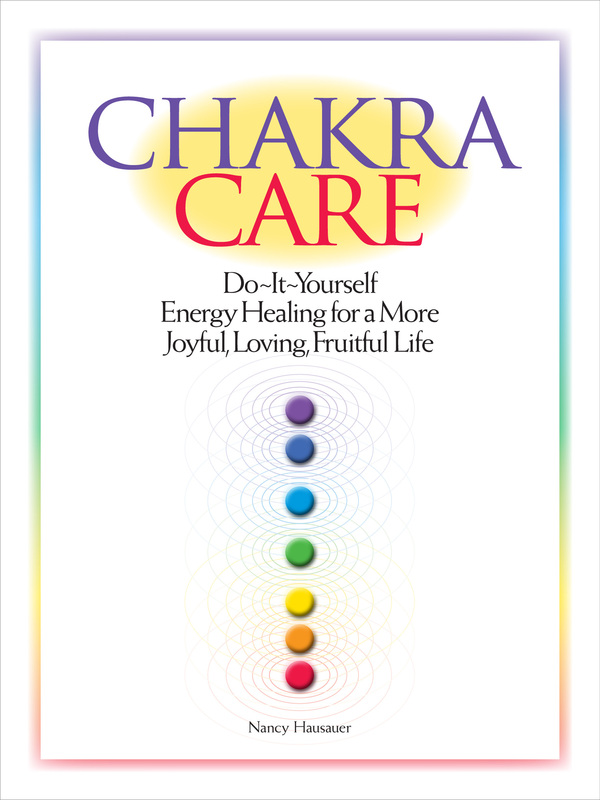 Chakra Care provides over 500 practical, down-to-earth activities that help you balance and nurture your chakras for a more joyful, loving, fruitful life. Chakra Care also covers basic concepts such as energy, energy anatomy, energy healing, and of course, the chakras, in clear, fresh, accessible language. Energy is everything and everything is energy. Learn about this energy, the life-force that is the basis, source and ongoing sustenance for all things. It's not as esoteric as you think! Find out about your energy body, your own distinct energy field that has an orderly anatomy, just like your physical body. Your chakras are one of the core systems of your energy body. What exactly are these chakras? You'll find a down-to-earth, understandable explanation of these seven energy centers that play such an important role in your health and happiness. If you've had trouble understanding chakras before, you'll get this. Why Do My Chakras Matter? Find out how the health of your chakras impacts the health of your body and your life. How Can I Tell If My Chakra System Is Healthy? Chakra imbalances are an opportunity to improve your life, rather than something to worry about, and answers to other good questions. The answer, of course, is yes. It's not mysterious at all. How Do I Turn Simple Activities Into Chakra-Building Powerhouses? The answer is simple, and anyone can do it. Fifth Chakra: Who Are You Really? Learn why it's important not to overdo it with any one chakra. Two meditations and a hands-on self-healing that will integrate and balance your whole chakra system. Learn why differing interpretations of the chakras are OK. So, are you ready to learn about how you can balance and nurture your chakras and make your life more joyful, loving and fruitful? I think you'll find Chakra Care just the thing you've been looking for to start your journey into the magical, body-mind-spirit world of the chakras. I wish you a wonderful journey. Return from Chakra Care Contents to Chakra Care main page. Go to chakra main page. I have found your book so very helpful and practical. I find myself thinking of the many practical tips you have given regarding balancing my chakras as I move about during the day. Thank you for this user friendly book. I will refer to it often. — Margaret Ann S.
Nancy Hausauer’s Chakra Care eBook is clear, concise and ‘user-friendly.” Each section is simple and concise, yet full of deep information to use. This book has encouraged me to embrace my own ability and confidence to sense energy and use the tools shared to heal my body and mind. I highly recommend Chakra Care! -- Kathryn W.
"This book is THE go to basic primer and advanced guide for balancing one’s life through balancing energy. It has practical and easy to use suggestions for working with the entire body. . .
For the person new to energy work, there are clear concise explanations about how energy works in the body, and how to nurture your own energy. For the more experienced person, there are lots of tips and fresh ideas to achieve and regain balance and optimal health all in one easy source book.
. . . It’s packed with so many ideas and suggestions, I keep it close by and reference it often. I love this book!" -- Laurie B.
I love this book, for it’s depth and practicality! I come back to it time and again for advice, guidance, and practical, positive actions I can take to address issues in my personal life. --Steve A.
Ms. Hausauer invites you into the world of Chakra healing but she doesn’t overwhelm you with jargon and esoteric detail. She has laid it out in an easy-to-follow format that enables you to first be introduced to the Chakra system as a whole and then to focus on each individual chakra. [She] gives the reader many ways to access the energies of the various chakras and to do simple everyday things to balance one’s chakras. It is eminently useful as a manual. And it is chock full of good information. In a way this is a basic primer for beginners. The information is clear and practical. Yet it will be very useful to anyone already familiar with the Chakra system for the same reasons. --Carrie W.